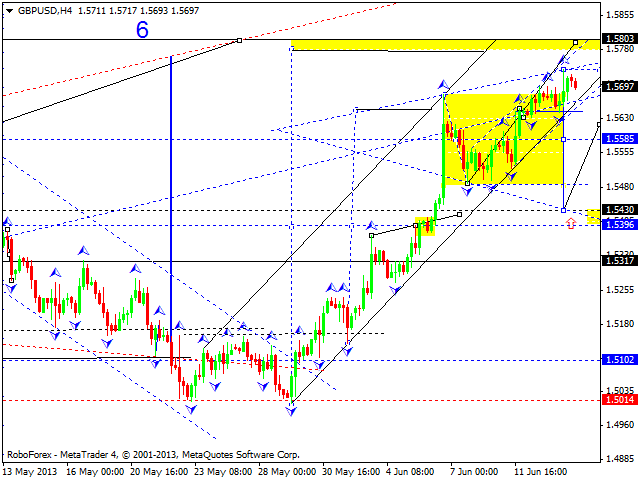 Euro completed an ascending impulse and corrected it. 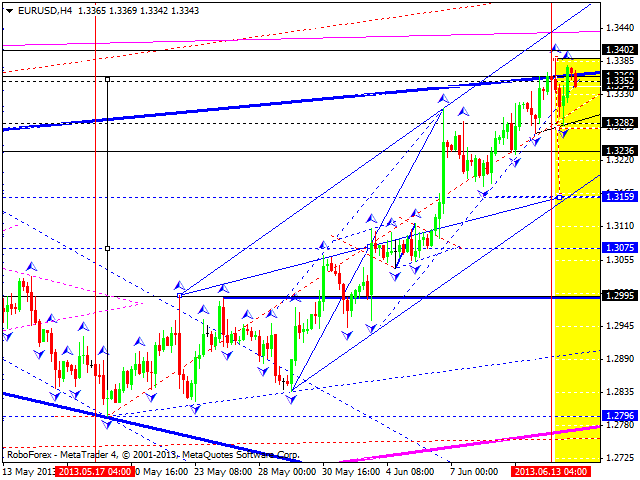 We think, today the price may form another one and correct it towards the level of 1.3160. An alternative scenario suggests that the pair may grow up to reach a new maximum and then start forming new descending impulses. This scenario doesn’t include any corrections, the price is expected to form a proper descending wave towards the level of 1.2700. Pound hasn’t completed its ascending movement yet. We think, if the price breaks this ascending channel and continues forming this wave, it may start a correction towards the level of 1.5430 and then – another ascending structure to reach the target at 1.5790. Later, in our opinion, the pair may continue growing up, break this level, and the start a deeper correction towards the level of 1.5320. Franc completed the first ascending impulse and corrected it. 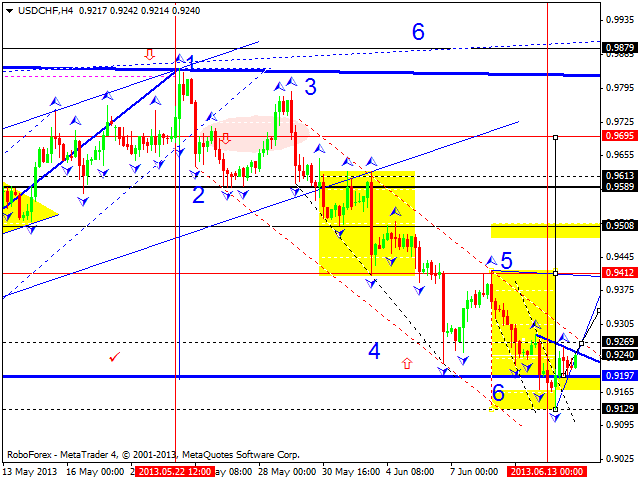 We think, today the price may form the second one with the target at 0.9415. However, an alternative scenario implies that the market may reach a new minimum, form new ascending impulses, and then start a new ascending wave to reach the level of 0.9880 without any corrections. The USD/JPY currency pair is still forming the first ascending wave; the market has already completed four structures inside it. 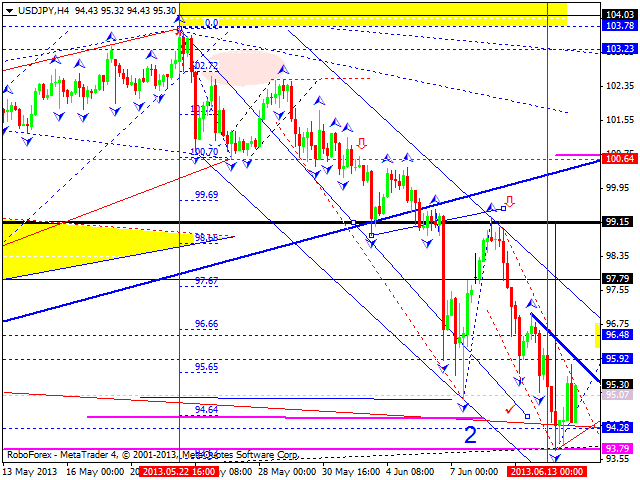 We think, today the price may form the fifth one with the target at 96. Later, in our opinion, the pair may form a slight correction and then continue moving upwards to reach the level of 99.15. Australian Dollar completed a five-wave ascending structure, a correctional one. We think, today the price may start a new descending movement towards the next target at 0.9215. 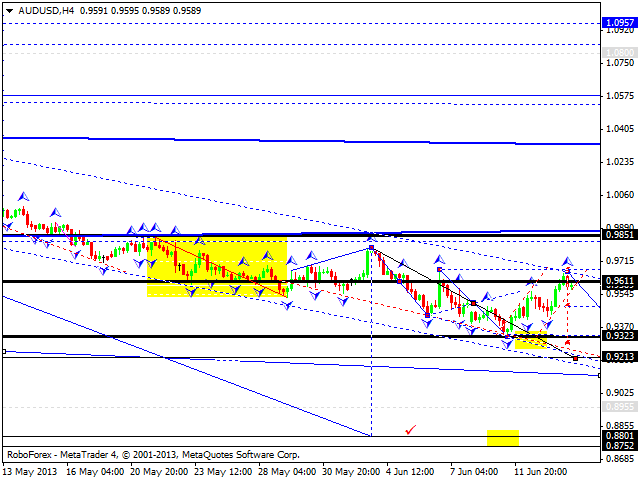 The main target is at 0.8800. Gold continues forming an ascending structure. 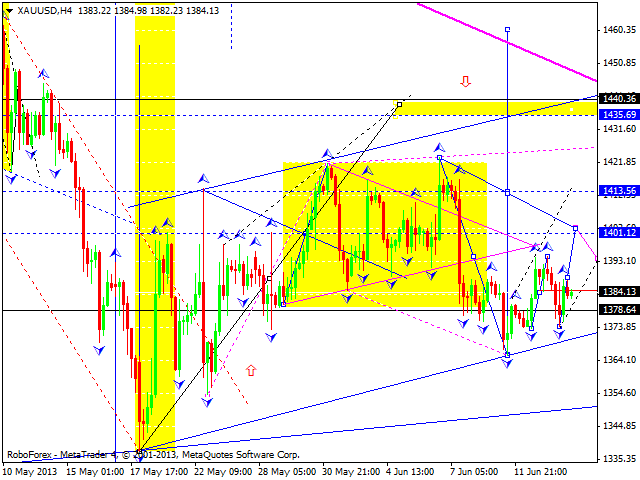 We think, today the price may form the ascending fifth wave with the target at 1403. Later, in our opinion, the instrument may start a slight correction and then continue moving upwards to reach the level of 1440.